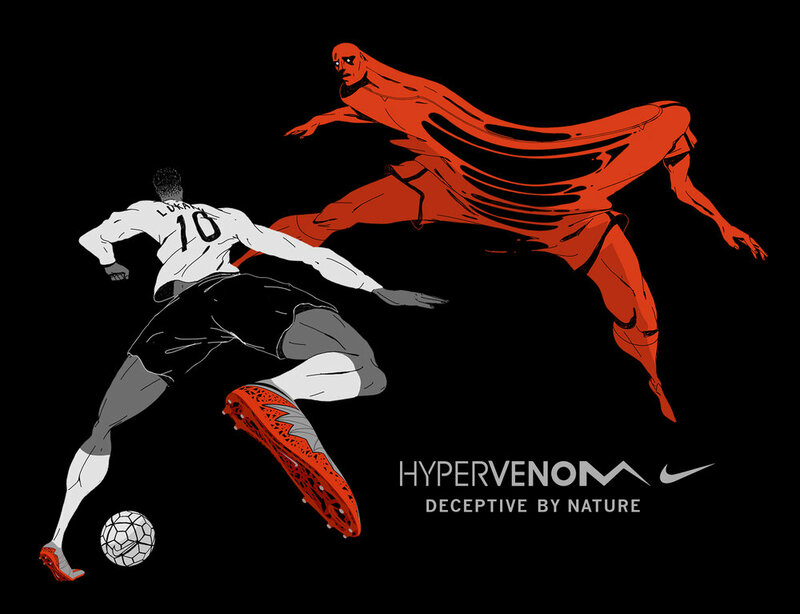 For the start of the 15/16 football season, Nike tasked us with launching the new Hypervenom boot for strikers. 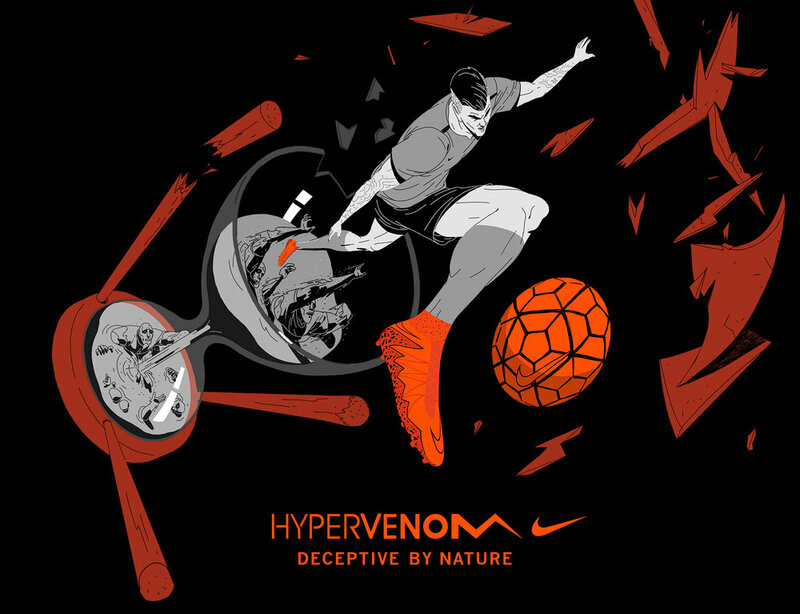 So we created a series of surreal films that explore how strikers visualize the game, letting you step inside the minds of Neymar, Lewandowski and Kane to see what makes them so deadly. 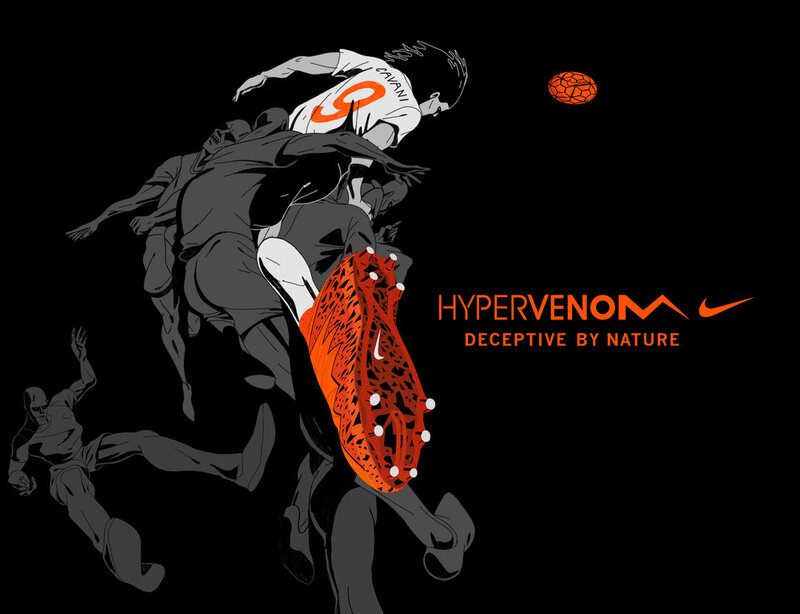 Working with animation company Buck, each film aimed to capture the deceptive nature of the Hypervenom II boot, based on an insight that is true to the player’s style of attack. This was the first film we made, which went out across Nike and Neymar's channels just before the start of the season. All three films used the same narrative device: with the blink of an eye, you're taken into the mind of the striker, seeing his view of the pitch with the ball at his feet. The color palette of the films was taken directly from the product, the oranges and greens exact matches of the boot each player wears on the pitch. We also created a series of product posters, one for each of their nine deadliest strikers, to drive hype in social and retail before the start of the season. What makes Lewandowski so deadly is his other-worldly ability to know his surroundings. In the film, sonar pulses ripple across a black space to reveal his opponents, demonstrating his ninja-like sixth sense.